It is crucial for everyone to adequately prepare for a consultation with a lawyer, irrespective of whether you are paying for the consultation itself. Be prepared to be honest and forthcoming, even if issues are sensitive to you. Take comfort in knowing that the conversation you have with the attorney is private and cannot be discussed with others without your permission. Determine whether you want someone to attend the consultation with you. Please note that this would require that you to sign a waiver of confidentiality, which means that the discussions occurred in front of the third party will no longer be confidential. However, if you have heightened anxiety, or need someone to be there to help you understand the information, or to take notes on your behalf, it may be fruitful to sign the waiver for the consultation itself. You should discuss this with the attorney when you schedule the consultation. Information. Make sure you have all the necessary information available. This includes contact information, relevant dates such as the date of marriage and date of separation, a timeline of the relationship including any big events during the relationship. This may include birth of a child, dates of separation, if there are multiple dates, acquisition of a significant asset, dates of abuse etc. If you have children, make sure you know their dates of birth, medical diagnoses, if any, and information about any special needs. Documents. 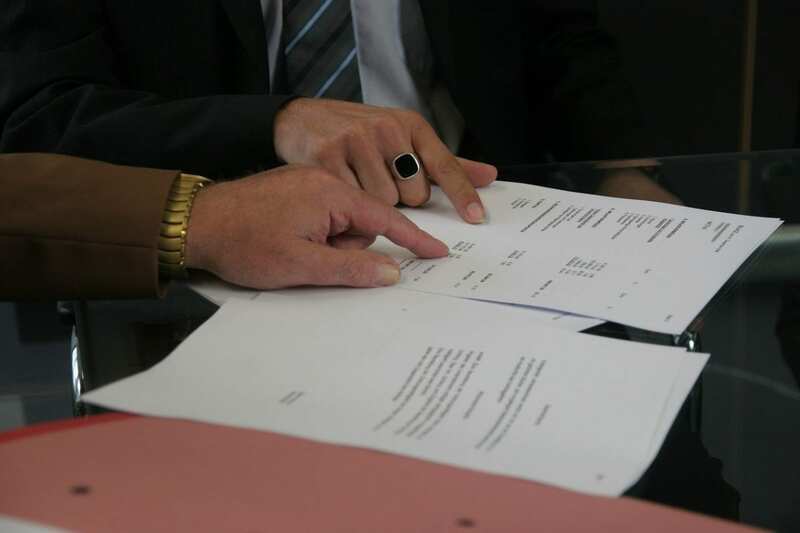 You should bring documents in preparation of the consultation such as Premarital or Postnuptial Agreements, bank statements, tax returns, paystubs, and any other relevant records depending on the topics you intend to discuss during the consultation. Gather financial records ahead of time. Create a Plan. Write an outline of what you believe the main legal issues in your case will be. What are your questions or concerns? Make a list of your questions and do some brief research online to attain a preliminary understanding and then add clarifying questions. Your consult may only last 30-60 minutes, so do not spend time obtaining generic information and rather aim to get advice and recommendations specific to your case. A good place to obtain information is the Superior Court website of the county in which your divorce will take place. The self-help sections of these websites can help you to identify issues. Determine what type of consultation you need to have based on your goals. For instance, are you trying to obtain information in anticipation of separation? Or are you looking for a family law attorney to litigate the divorce? Perhaps you need advice on a specific issue, such as domestic violence or spousal support? Maybe you want to determine whether it is time to enter into a postnuptial agreement? Or you and your partner have already discussed separation and you need guidance with preparing a settlement agreement? Maybe you just need information to negotiate terms for settlement yourself or in mediation? It is essential that you categorize the issues you have so that you can briefly relay the same when you schedule the consultation to allow the attorney to plan for the meeting accordingly. Browse the following topics briefly in preparation for the consultation and create a plan for the meeting pursuant to the recommendations described below. Spousal Support: Always discuss spousal support during the consultation. Ask the attorney to discuss the differences between temporary spousal support and permanent spousal support. If you are unemployed, or earn significantly less income than your partner, then you may have a need for support and should obtain calculations for temporary spousal support. If you are the party that is the breadwinner of the family, or are the higher-earner, you may have the ability and obligation to pay support, and should also ask for calculations to determine your exposure for support. In order to obtain calculations for temporary spousal support, you need to have a good idea of each party’s monthly income. If you do not already have this information, make sure you review bank statements and the last tax return to determine the same, or ask your partner directly if possible. Make sure you have information about all relevant sources of income. These include income from overtime, bonuses, commission, pension or social security, business income, dividend or interest income, and rental income, among other sources. Size and value of your marital residence, and any other real property you or your spouse owns or rents. The types of hobbies you and your partner participate in, whether collecting art pieces, golfing, sailing, etc. How often do you and your spouse buy gifts? What is the average cost of these gifts? How often do you renovate or redecorate your home? What types of vehicles do you and your spouse drive? What kinds of vehicles did you drive throughout the marriage? Are they owned or leased? Do you own a boat or a motorcycle? How much do you and your spouse spend on clothing? Where do you shop? What sort of entertainment do you seek? Concerts? Plays? Maybe you love to dine at expensive restaurants? Perhaps you like to attend sport events? Make a list of the things you usually do. How much do you and your spouse contribute toward savings or retirement? How much do you donate? How often do you travel? Where do you vacation? The ability of each parent to provide for the children’s overall well being given his or her lifestyle and responsibilities. It is best to discuss the desired custodial schedule with your partner ahead of time to make sure you are on the same page if possible. Do you and your spouse want equal time with the children? If so, perhaps a week-on/week-off schedule would work if the children are old enough. If equal parenting time is not practical, perhaps one parent should maintain primary custody, with the other parent to have the children on alternating weekends. The custodial schedule can take many forms and you should discuss the same with your spouse if possible or obtain details during the consultation. Consider your co-parenting relationship. If there is high animosity between you and your spouse, perhaps it would be valuable to have a custodial schedule that would limit the exchanges and thus your exposure to each other. Child Support: If you have children, you should discuss child support and obtain calculations. To obtain a good estimate, you should request calculations based on different timeshares depending on your desired custodial schedule. A timeshare is a percentage that reflects the amount of time the children spend with each parent. Child support is based on each party’s income and the timeshare. Consider the need for daycare arrangements, and costs for extracurricular activities. Property Division: The first step in property division is to make a list of all assets and debts that you and your spouse have acquired. For each item, indicate when the asset or debt was acquired, which party holds title, and describe any promises you or your spouse made regarding ownership of the asset or liability for any debt. For instance, if your spouse received an inheritance, did he use those funds to buy a home for both of you? Did you add your spouse’s name on title to any property you owned prior to the marriage? Real property – Ensure that you know when the home was purchased, who holds title, and confirm the source of the funds used for the down payment, mortgage, and/or home improvement. Bank accounts – Make a list of accounts in which you and your spouse have an interest, including savings accounts, checking accounts, and credit union or other deposit accounts. If you are able, obtain the current balances in each account and have an idea of the source of the funds therein to discuss characterization with the attorney. Life insurance – Bring the policy page if possible. Be prepared to discuss the type of insurance policy, when it was acquired, who holds title, and who is the beneficiary. Retirement – Make a list of accounts in your and/or your spouse’s name and obtain benefit information if possible regarding any pension plans, IRA’s, annuities, deferred compensation plan, or profit-sharing plan. Determine when these accounts were acquired. Business interests – If either party owns a business, or has an interest in a business, obtain as much information as possible regarding the value of the interest, the type of business, and when it was acquired. Loans and Credit Card Debt – Make a list of all debts you are aware of and identify which party incurred the debt, when the debt was incurred, and how the funds were expended. Attorney’s Fees: Obtain information about the attorney’s hourly rate. Do not expect the attorney to be able to provide you with an accurate figure or budget for the cost to litigate or settle the matter. If you are concerned about your finances, you should request that the attorney remain cognizant of your financial abilities. You can also keep your fees low if you remain responsive to your attorney, provide all information and documentation in a timely manner, and take reasonable positions regarding a settlement. Always consider a cost-benefit analysis. Discuss payment plans with the attorney and obtain a written fee agreement. Also, if you are the higher-income earner, discuss your exposure for contributing to your spouse’s attorney’s fees. If you are the lower-income earner, discuss your ability to request a contribution from your spouse to your attorney’s fees. Determine whether you can afford to pay a retainer to the attorney. Discuss the source of the funds you may use to pay the same. Decide how you will pay for the attorney ahead of time. Are you borrowing money from family or friends? Are you using money in your savings or retirement account? Are you using money in your joint bank account? If you do not have any source of funds, you need to discuss options with the attorney. Domestic Violence: Discuss any issues of domestic violence with the attorney immediately, even if the incidents are not recent. If there is an immediate threat, discuss your ability to obtain a restraining order. Bring any evidence you may have such as photographs, text messages, videos, medical records, etc. It is imperative that you are truthful and discuss these issues with the attorney. Breach of Fiduciary Duties: If you feel that your spouse mismanaged the assets during the marriage or excluded you or lied to you about the finances, and/or made decisions regarding finances without your approval, then obtain information from the attorney about fiduciary duties that each spouse owes the other. Bring evidence of such misconduct. For instance, there may be text messages in which your spouse refuses to share information with you or confirms that decisions were made against your wishes, or records that reflect that your spouse diluted your bank account and used the money on affairs, gambling, etc. Also discuss the remedies available. If you feel that your spouse may accuse you of breaching fiduciary duties, then discuss the same with the attorney and identify ways you can protect yourself in advance. Gather documents that show you shared information and managed the finances reasonably. Settlement: Draft your version of a settlement agreement. What are you willing to give up? What are deal-breakers for you? How would you like to negotiate? This critical information will allow the attorney to determine your needs. You should share this with the attorney and evaluate whether your positions are reasonable. If you would like to schedule a consultation, please contact the experienced Family Law attorneys at Bremer, Whyte, Brown & O’Meara LLP for a consult.